Elite Vac & Steam is pleased to introduce our newly-minted power generation lineup. Our combination units fill more needs than any other company, and arrive onsite with an unsurpassed pedigree of service. Use of LED-only rig ups means lower wattage for more lumens which in turn provides cost savings. Our flagship, the 200 is delivered with 5 ton or small picker truck, and brings lots of spare room. We can stow a dumpster, toilets, or up to 6 slave Eco-lights and our proprietary 100A subpanel on this one load! Hydraulic mast eco lights, used in conjunction with other sources of power or provide hot zone or perimeter lighting. 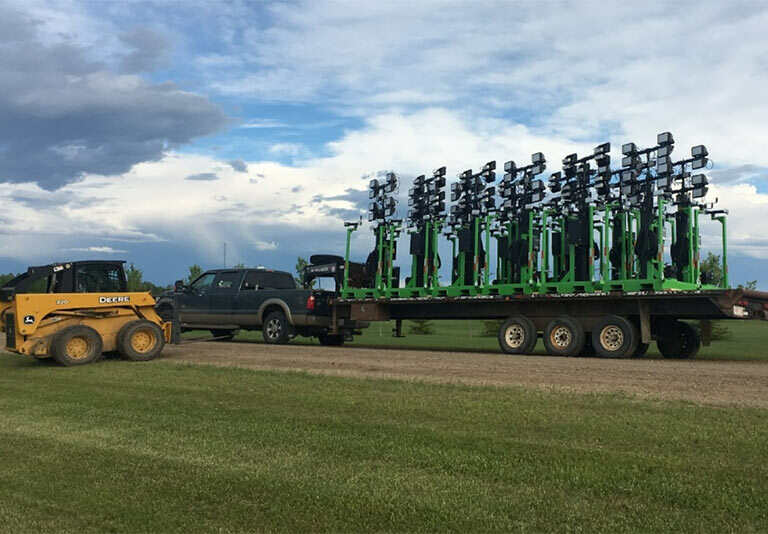 Mounted on trailer: 175amp sub panel & 2 – Hydraulic mast light stands all bulbs LED. Shindaiwa Kwiet DGM60 generator & 4700L diesel tank c/w fuel station onboard. No mess change out; simply remove strap and pull toilet straight back. Vent built into wall, toilets designed to push straight onto to vent pipe, eliminating need to handle any plumbing like competitors’ designs. Septic tanks can be switched out at same time as garbage to decrease service / travel charges. Great for production, workover or pipeline work, can power multiple shacks, run up to 6 Eco lights. 20kw generator c/w 900L diesel tank. 80 Amp sub panel with access door, CSA inspected, bonded & grounded unit. Men / Women heated washrooms, easy no mess septic tanks. Light mast with 4 LED lights. Garbage & Enviro disposal with steel mesh secondary doors at rear. 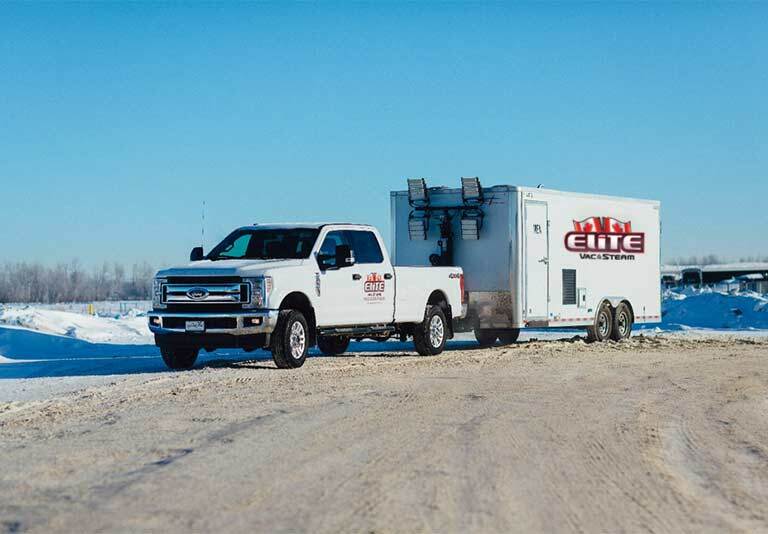 All Elite enclosed trailer combos have rear steel mesh wildlife guard as a secondary barrier to rear doors to keep unwanted visitors out. 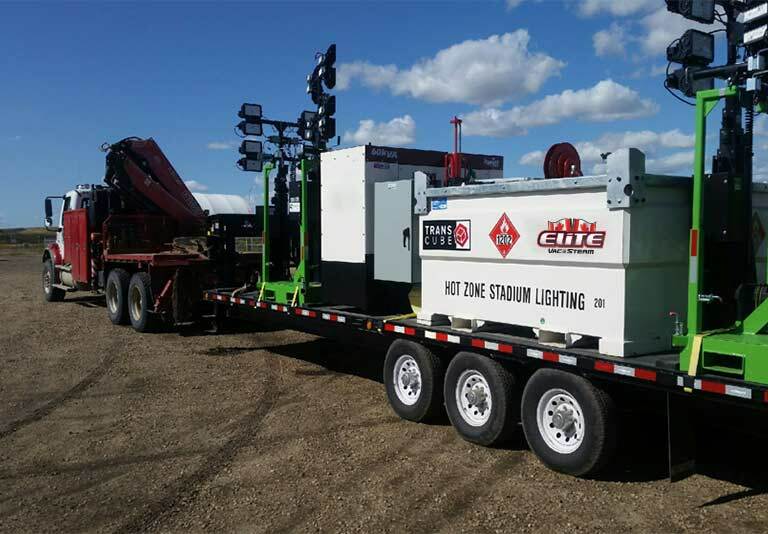 3 in 1 Combo delivered with 2000L of diesel, 2 x Hydraulic mast Eco lights, used in conjunction with other sources of power or provide hot zone or perimeter lighting. Shindaiwa Kwiet DGM25 generator, 100Amp sub panel, diesel tank c/w fuel station. This single generator is capable of supplying power to 8 Eco lights with 12kw to spare. Eco lights designed to either daisy chain lights & or utilize 110v power outlets. Vapor tight connections available. Eco light stands with hydraulic masts, complete with photo cell, automatically turn off during daylight hours. Each equipped with 60m (200’) of 30amp 10gauge power cable. 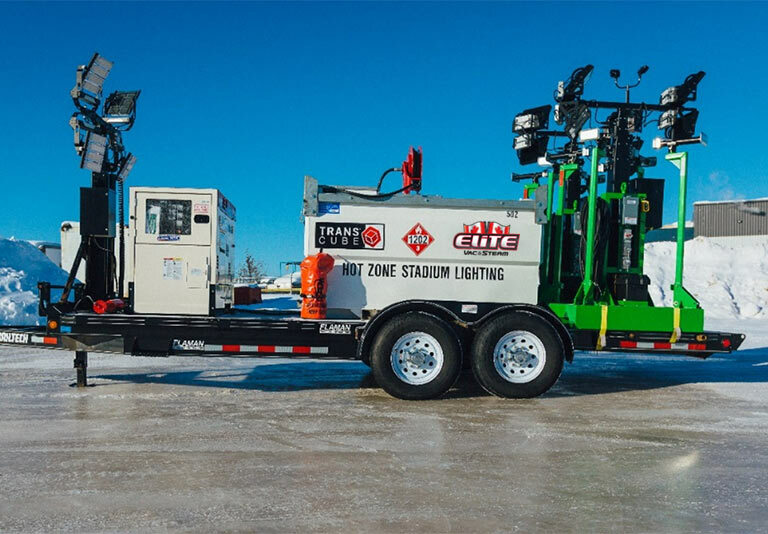 Capable of daisy chaining units together, eliminating the need for any diesel engines inside high pressure, silica sand or explosive & venting tank farm areas. 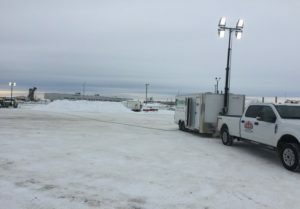 Eco lights are fully heliportable; having been rigged into a water transfer application, we were able to keep the fueling 400’ from open water, and perform no maintenance mid-operation on an otherwise impossible slope. Based in Grande Prairie, we deliver great service to the Peace Region and beyond. Call us today for your hydro vac, semi vac, combo vac, toilet rental, light tower rental, fluid hauling, boiler, septic and sump services. Interested in Power Generation Rentals?